Community Food Forum draws the crowds! Our Community Food Forum this month was a big success! 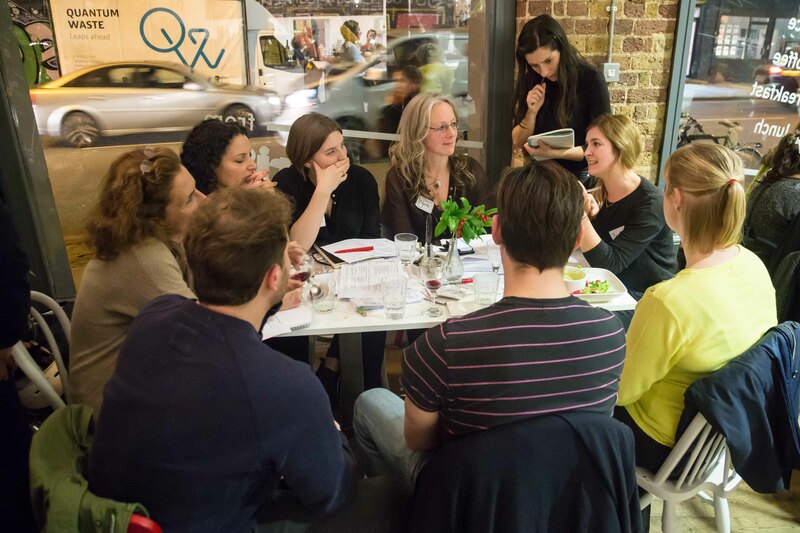 Over 80 people came together for a night of fine food, networking and peer to peer skill sharing on Tues 2nd Feb at Crisis Cafe. Attendees were founders of community kitchens, cafes and food growing projects, or those just in the early planning stages. Alana Cookman, Head of Cafes at Crisis and Alice Dawnay from the charity Switchback, spoke of the importance of collaboration and their mutually beneficial partnership, which involves referrals of apprentices to the cafe for training and employment. 'What we've learned is that you always need regular paid staff working at the cafe so if apprentices don't show up one day the business can still operate' said Alice. Ben Pearce from CAN also spoke of the collaboration between CAN and Made in Hackney through a series of Team Wellbeing Days where staff enjoyed a practical cooking experience as part of a team building exercise. The evening then continued with a series of smaller discussion groups and speed mentoring on the topics of outreach, enterprise, impact, support and social vs profit. Participants were able to receive (and provide) advice and ideas on how to prepare for growth and access support for their project. During the breaks people had the opportunity to browse a mini market place of food stalls by Olio, Nix and Kix and Papi's Pickles. 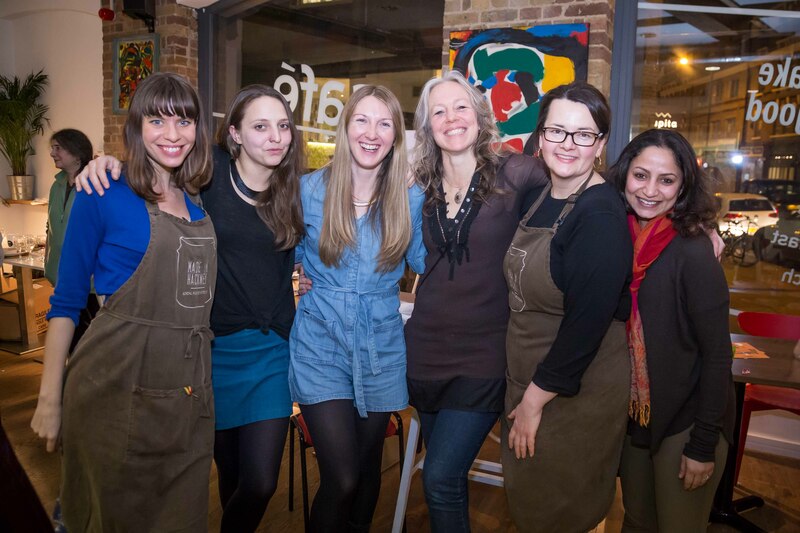 Throughout the evening attendees enjoyed tucking into a delicious buffet of freshly prepared local, seasonal and organic food by Made in Hackney’s very own natural chef Jayne Totty of Super Nourished. On the menu included mouth watering antipasti platters, rye bread tartines with hummus & salad toppings, black bean tacos, buckwheat 'pizza' with pesto topping, potato wedges with dip, samosas with chutney. To see all the beautiful photos taken on the night by our fantastic photographer @albertplalenshoots see our facebook album. The key outcomes from the discussions are available Here. Big thanks to the team at Crisis Cafe for hosting the event. And to Abel and Cole and Naked Wines for donating the food and wine. And thanks to UnLtd, The Foundation for Social Entrepreneurs for financially supporting the event.